Universal adjustable lip mount, 16' 6” deluxe cable assembly with 3/8-24/PL-259 connectors. Quality appearance and low loss coax cable assembly. Installs easily in only minutes to virtually any lip on a vehicle. Trunk lid, truck rear doors, SUV and van rear doors, hood lip, etc… Does not damage expensive and/or leased vehicles. 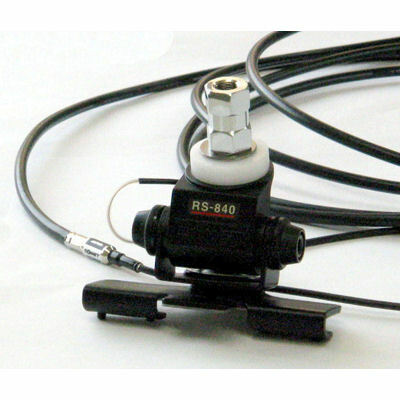 For use with 3/8X24 Thread style antennas.